The First and Only Solution that Provides Data Protection from ALL THREATS. 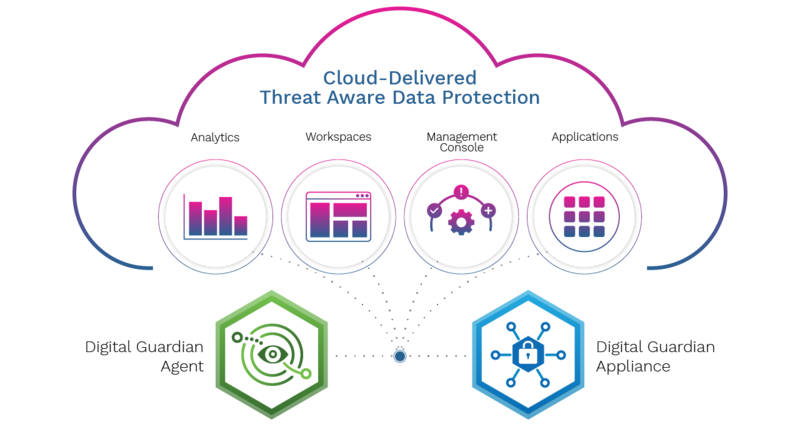 Leveraging our new DG ARC cloud service, the DG Data Protection Platform detects threats and stops data exfiltration from both well-meaning and malicious insiders as well as external adversaries. By converging DLP and endpoint detection and response, you have one less endpoint agent to manage and one less console to monitor. Our platform puts your most sensitive information assets at the center of all data protection, activity monitoring and threat prevention, detection and response activities. The big data advanced analytics and reporting cloud service that powers the DG Platform. Information security analysts, incident responders and threat hunters can detect and respond to threats faster and more efficiently regardless of the threat. 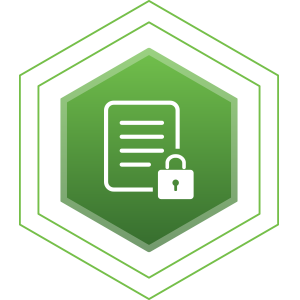 A proven endpoint agent that delivers the deepest visibility available on the market. It captures and records all system, user and data events on or off the network. You can configure the agent to automatically block suspicious insider activity or external attacks – malware and malware-free - before sensitive data is lost. The broadest DLP coverage available – Window MacOS, Linux, protects your data regardless of your operating system. Network appliances designed to protect data at rest and data in motion with very little overhead. They classify, monitor and control sensitive data across your networks, storage repositories, databases and cloud applications like Office 365. The DG Appliance delivers Database Record Matching fingerprinting technology that is the most accurate for identifying and controlling personal information – minimizing false positives and false negatives. The web-based console for setting up your platform, configuring and deploying agents and creating and managing policies, alerts and reports. Solutions that meet essential use cases such as insider threat protection, data compliance, IP protection, enterprise data visibility and endpoint detection and response. Digital Guardian has developed custom applications and leverages APIs to integrate with the security products you already own. DG Managed Security Programs (MSPs) can extend the capability of your team. Our security experts will host, administer and run your threat aware data protection program. These 24*7 global analyst teams will help you contain insider and outsider threats before sensitive data gets out of your organization. Traditional DLP is only focused on policy enforcement and detection of anomalous insider activity. The amount of data produced and the tools required to analyze external threats presents a challenge to traditional DLP architectures. That’s why we developed a cloud services security platform that meets the requirements of both DLP and advanced threat detection and response use cases. Our design encompasses new database technologies for very large storage and query requirements, analytic engines for automated threat detection, and new UI elements and workflows to drive incident response and investigations. Digital Guardian sees and correlates system events, user events and data events at the endpoint, on the network, in the cloud and in databases. Each of these three event types deliver valuable information, but the combination of the three gives context to data movement. This context is key to protecting sensitive data from all threats, internal or external. The DG Analytics and Reporting Cloud uses a big data cloud services architecture and innovative UI to aggregate and analyze millions of system, user and data events and turn all that into human digestible intelligence. Analysts can detect and respond to threats – both insider and outsider - faster and more efficiently. We give organizations flexible controls across the entire enterprise, regardless of operating system or file location. These controls, including log, alert, prompt, block, and encrypt, deliver the situational granularity needed so they don't get in the way of legitimate business. Digital Guardian automates these controls to prevent a data breach before it happens. And our controls are everywhere your data lives – on the network, in database servers or endpoints, even in the cloud.